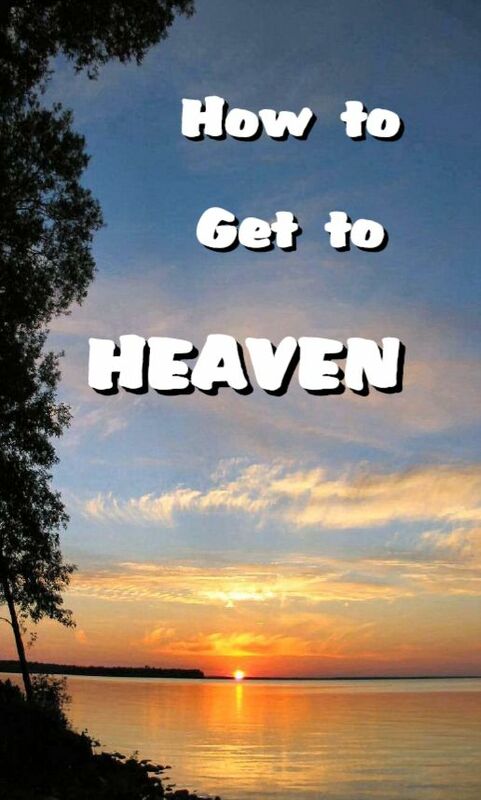 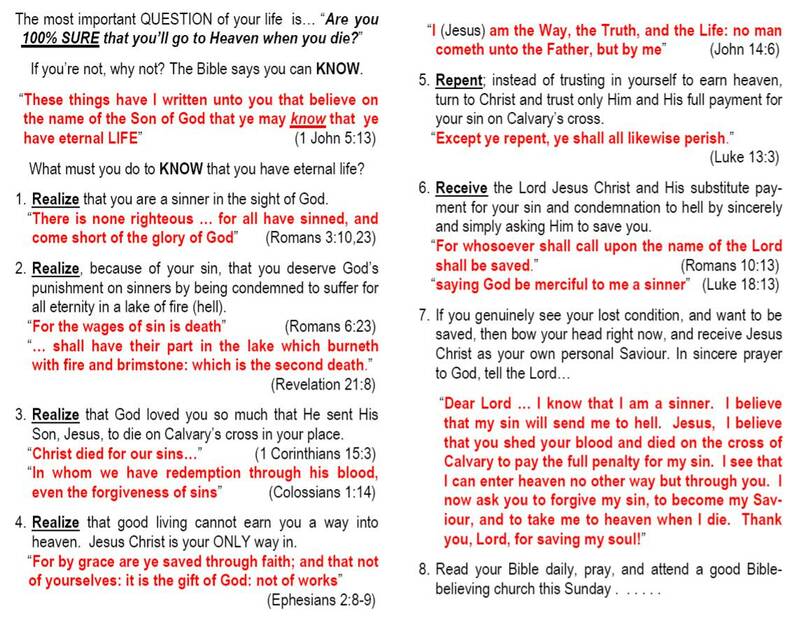 Please click on these images to read how you can be sure that you will go to Heaven to be with God for eternity when you die. 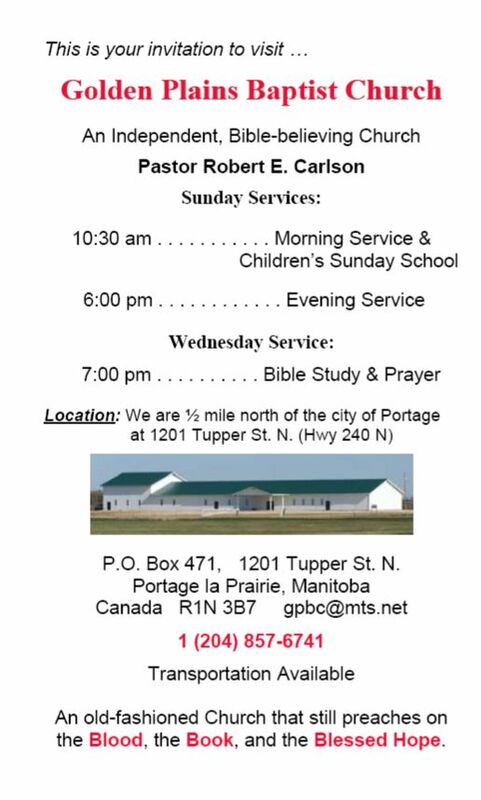 If you have been helped by this explanation of God's plan of salvation, please contact Pastor Carlson so that we can pray that God will help you grow in your new life. 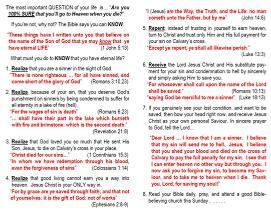 Click here for an audio message on Eternal Life.